Fresno Mayor Lee Brand held a press conference at City Hall this morning to provide the details on the City of Fresno’s proposal to land Amazon’s second headquarters, outlining the key reasons why Fresno is the ideal location for the HQ2 project. 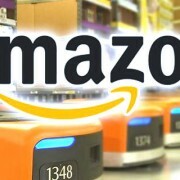 The online retail giant announced last month that it had plans for a second home outside its current headquarters in Seattle and would invest $5 billion in the new facility and create up to 50,000 high-paying jobs. This unique proposal, which offers no economic incentives, uses counter-intuitive, out-of-the-box thinking that would set Fresno apart from the cities making lavish incentive promises and put Amazon in the position of becoming the ultimate corporate citizen. Brand highlighted four key elements that sets the Fresno proposal apart from any other proposal being pitched. Those elements are California’s High-Speed Rail system, the “Amazon Community Fund”, 60 Days to Construction and the opportunity to be a Catalyst to Transform Fresno and Central California. The “Amazon Community Fund” is a unique proposal to enter into a 100-year agreement that would place 85% of every tax dollar this project generates into the Amazon Community Fund. This fund will be jointly controlled and administered by a committee of City leaders and Amazon executives to enhance and address community impacts generated by the HQ2 project. Monies generated would be used to provide workforce housing, transportation infrastructure, parks and biking trails, and STEM education in area schools and other core City services. The nation’s first High Speed Rail project is another reason why Amazon should consider Fresno. The ability to travel from Fresno to the Bay Area in less than one hour means that Amazon will be able to access the innovative technology of Silicon Valley a short train-ride away. The Mayor also touted the City’s updated General Plan as an incentive for an Amazon location downtown.. If located downtown, construction on the second Amazon headquarters could begin within 60 days of submission of construction plans. Mayor Brand believes that the City of Fresno’s potential, leveraged with the power of Amazon, could prove to be a transformational force for a city on the rise. “Locating HQ2 in Fresno would not only build another successful technology community, it would also offer additional proof that Amazon right now is one of the world’s leading change agents,” he said.